As of Friday November 16, 2018, California was home to the three most polluted cities in the world. These three cities – San Francisco, Stockton, and Sacramento – topped the world’s chart of polluted cities as a result of the infiltrating smoke produced from the nearby, devastating Camp Fire. To date, the Camp Fire is the deadliest fire in California history and has burned over 170,000 acres of land, roughly the size of New York City. Over its rampage, it has destroyed immense areas of California’s wildlife and burned down over 17,000 man-made structures. Unfortunately, the Camp Fire’s destruction isn’t limited to the destruction caused by its flames. This mass burning of a variety of natural and man-made sources has resulted in smoke containing huge amounts of small, solid and liquid particles that can be hazardous when inhaled. Thus, the smoke produced from the Camp Fire, which is spreading over 150 miles away from the fire and polluting the air of California, is a matter of great health importance. 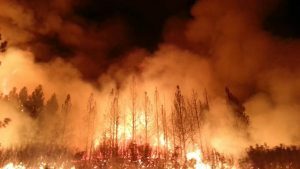 The link between negative health effects and smoke produced from forest fires has been established for years. Specifically, exposure to smoke is linked with negative health effects like increased asthma attacks, difficulty in breathing, and lung diseases. Interestingly, inhaling smoke and other forms of air pollution is also linked with elevated blood pressure, cardiovascular diseases, and for some more susceptible people, heart attacks and stroke. While scientists are still trying to figure out how inhaling smoke can affect organs other than our lungs, there are a few likely scenarios. The first scenario is that the small particles inside the smoke can actually enter our bloodstream after we inhale them. 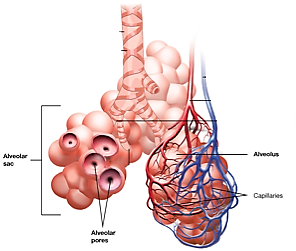 Some scientists have shown this can occur and that once the particles are inside the bloodstream they can damage the blood vessels or travel to the heart and damage it. The second scenario is that the particles don’t travel beyond the lung and only directly affect the lung tissue. Some scientists have shown that the damaged lung tissue can then release factors into the bloodstream that can damage the blood vessels and the heart. What is known is that once these particles have been inhaled, they can stay in our lungs for days. Therefore, even a very short exposure to smoke or any other kind of air pollution can have a lasting effect. In addition, we also know that after inhalation, these particles can damage our lungs and lead to cardiovascular disease. As forest fires and other sources of air pollution are continuing to increase due to climate change and increased human activity, it’s extremely important to take this information and breathe responsibly. 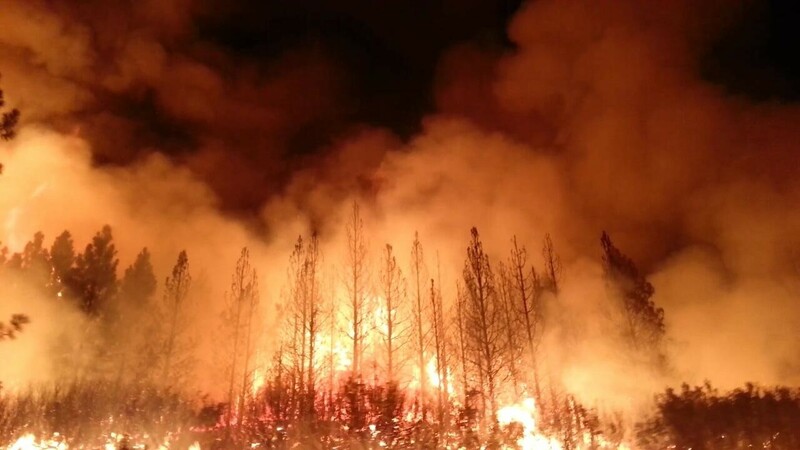 Thus, even if a fire is 100+ miles away, we should all head the local official’s warnings and suggestions for how to remain safe from both the smoke and the flames.